When I arrive in a new place I’ve never visited, my antenna are stretched out, the gain is tuned to high, and I am looking for that first impression moment where something unique and new strikes my interest. 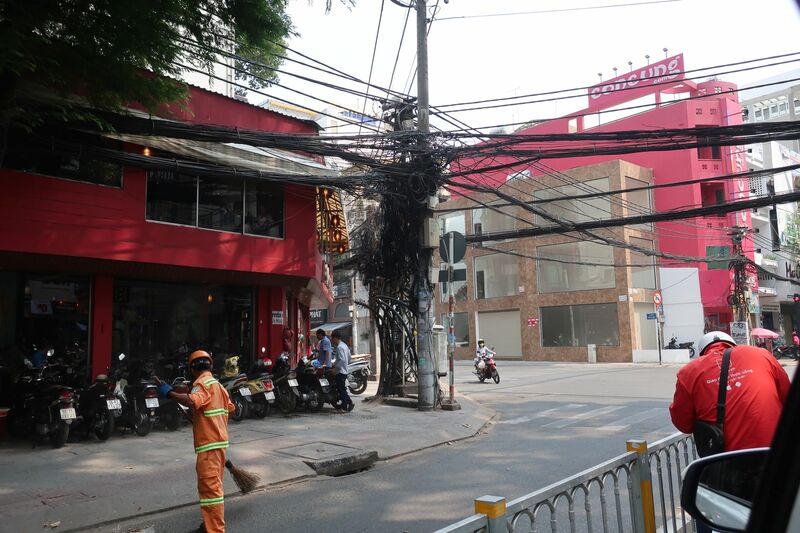 I’ve seen messy telephone cables all over the world, so to be honest this was nothing remarkable or new for me. But as I sat there patiently in traffic, starting at this pole for many minutes, my eyes scanned the area, took in the Big Picture, and I slowly came to an important realization. What occured to me was how much insight you can get into a culture just by looking at its telephone cables. 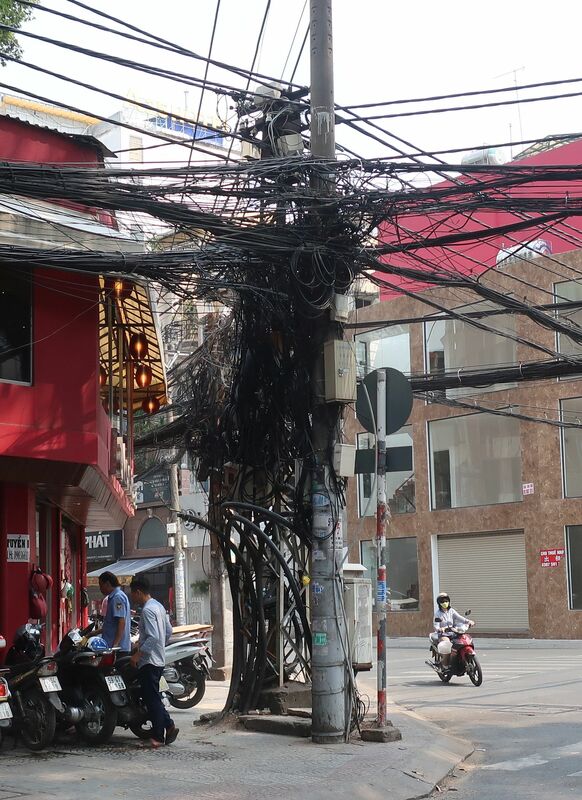 In this case in Saigon, the cables are all identical: black, approximately the same gauge, and all of very good quality. A stunning degree of structure, organization, and tidiness in the transmission: The cables coming into the pole are highly organized and carefully wrapped into a tight bundle, and the cables coming out of the pole are highly organized are carefully wrapped into a tight bundle. And a stunning degree of pragmatism, acceptance of non-conformance, and low stress at the interface: the cables fixed to the pole are in no way bent or stressed, and the pole almost seems happy to carry this mass of important lines that meet every which way but somehow go exactly where they need to go.